On a summer night in 2009, three lives intersected in one American neighborhood. Two people newly in love - Teresa Butz and Jennifer Hopper, who spent many years trying to find themselves and who eventually found each other - and a young man on a dangerous psychological descent: Isaiah Kalebu, age twenty-three, the son of a distant, authoritarian father and a mother with a family history of mental illness. All three paths forever altered by a violent crime, all three stories a wake-up call to the system that failed to see the signs. In this riveting, probing, compassionate account of a murder in Seattle, Eli Sanders, who won a Pulitzer Prize for his newspaper coverage of the crime, offers a deeply reported portrait in microcosm of the state of mental health care in this country - as well as an inspiring story of love and forgiveness. Culminating in Kalebu's dangerous slide toward violence - observed by family members, police, mental health workers, lawyers, and judges, but stopped by no one - While the City Slept is the story of a crime of opportunity and of the string of missed opportunities that made it possible. It shows what can happen when a disturbed member of society repeatedly falls through the cracks, and in the tradition of The Other Wes Moore and The Short and Tragic Life of Robert Peace, is an indelible, human-level story, brilliantly told, with the potential to inspire social change. Every public official in a position to effect change in the mental health system ought to read this book and reflect deeply on its lessons. The rest of us can simply be moved to the tears summoned by the enduring love, tentative hope, and inconsolable pain of this searing human tragedy. (Reviewed by James Broderick). Drawing on interviews with principal figures and their families, Sanders’s meticulous narrative gives full weight to Kalebu’s crime while elucidating the human tragedy that sparked it, forming a disturbing indictment of society’s neglect of the mentally ill.
Starred Review. A page-turning indictment of a perfect storm of preventable events. 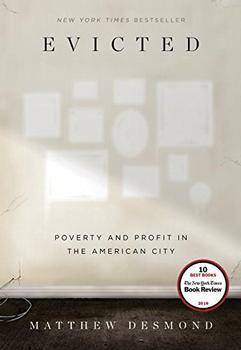 Handled with delicacy and delivered with a powerful sense of both dismay and compassion, Sanders offers an unflinching portrait of the human casualties of one city's and, by extrapolation, our country's overburdened health-care and judicial systems. Starred Review. Astonishing ... Pair with Jill Leovy's Ghettoside for powerful ... analysis of the failures of our criminal justice system. Starred Review. An exceptional story of compelling interest in a time of school shootings, ethnic and class strife, and other unbound expressions of madness and illness ... The author's opening pages are among the most immediate and breathtaking in modern true-crime literature, as evocative as any moment of In Cold Blood or Helter Skelter. An inspiring account that leaves the reader with a profound appreciation for our responsibility to one another. A devastatingly preventable crime is at the center of this book, and yet it is the love, courage, and empathy of the people involved - and of the author - that stay with you. Written with great sensitivity and even greater beauty, it is about so many things: a city, childhood, family, failure, loss, horror, forgiveness. It is, very nearly, about everything. The great achievement of this book is that it shows how any crime is ultimately a failure of systems and of citizens, and that to some degree we are all complicit when a person who needs help is cast aside. To show empathy for a criminal, especially a criminal who has committed such a violent act, ennobles the process and purpose of journalism. While the City Slept is a searing indictment of the mental health system in the United States, showing step-by-step how the failure of an overworked, underfunded bureaucracy led to a likely preventable human tragedy. Among the many challenges communities face is in ensuring that those experiencing mental illness get proper treatment. In most states, merely presenting symptoms is not enough. In fact, more often than not, unless the person has demonstrated violent behavior, nothing can be done to compel treatment. However, in 1999, New York State lawmakers approved "Kendra's Law," which has since been hailed by many professionals as a breakthrough in the way states administer mental health services. 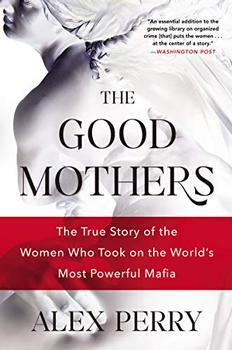 The electrifying, untold story of the women born into the most deadly and obscenely wealthy of the Italian mafias  and how they risked everything to bring it down.